Online Membership Form for payment by credit card only. Membership Form( PDF) for payment by cheque or credit card. 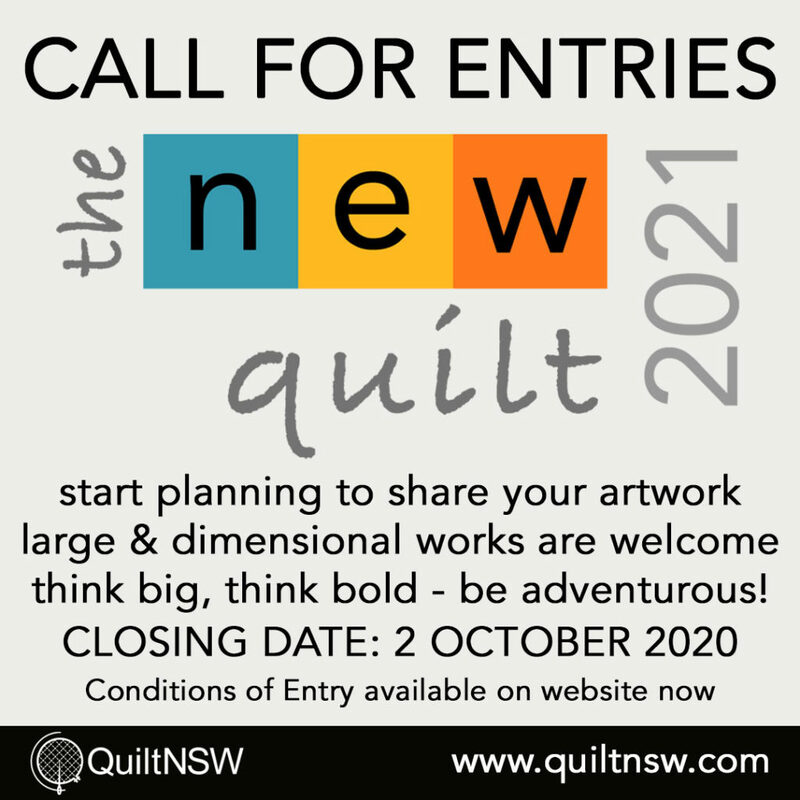 Services available to a Members Group include entry into the group category at the Sydney Quilt Show; access to our library resources; two members from a group may attend QuiltNSW workshops at the member’s price; and receiving the quarterly newsletter The Template. QuiltNSW has established a scheme whereby member groups of QuiltNSW can have public liability insurance coverage under QuiltNSW’s policy. Member groups who participate in this scheme will share public liability insurance of $20 million subject to the terms of the policy. The Public and Products Liability Insurance Policy covers the group for legal liability to third parties for injury and/or property damage caused by an occurrence in connection with the group’s business activities, such as member group meetings, workshops and, for a further fee, exhibitions. complete the insurance application form, provide all required information and pay the required fee as calculated on the form – $5 for each group member who is not themselves a financial member of QuiltNSW. Note a fee is not payable for group members who are themselves an individual financial member of QuiltNSW. To add (or amend) your Member Group to this listing, please complete and return the Group Member Listing Consent Form ( PDF) to the QuiltNSW Office.